Welcome to 8th Street Auto. 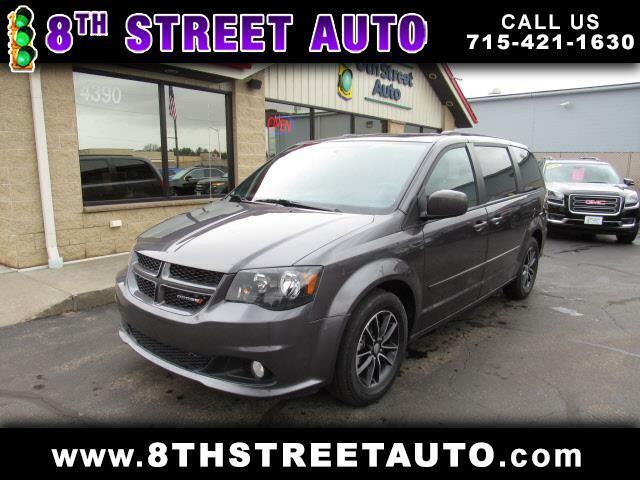 Armed with a rear air conditioning, remote starter, backup camera, Bluetooth, a leather interior, dual climate control, heated seats, the Homelink system, traction control, and Sirius satellite radio, you won't be able to get enough of this 2017 Dodge Grand Caravan GT. It comes with a 6 Cylinder engine. This one's a keeper. It has a crash test safety rating of 4 out of 5 stars. Flaunting a timeless gray exterior and a black interior. You'll love the extra leg room...check out this vehicle's third row seat! Your keyless entry will make your life more convenient with a simple click for hands-free locking and unlocking. Interested? Call today to take this vehicle for a spin! Thank you for shopping at 8th Street Auto.